The first step when replacing roofing felt shed is to remove the old. Wear safety gloves and goggles to protect yourself from grit and felt bits that throw off when moving old felt. Locate all nails on the felt roof and pry them loose using a small pry bar or claw hammer. If nail heads break off, hammer the nails deep into the surface of the wood so that you don’t have sharp points that can rip new felt protruding. Strip off the roof after you have removed all the nails and hammered into the wood any nails with broken heads. Check the exposed timber planks for damage, especially where holes in the felt were evident. Replace the planks that need to be replaced at this point. If the planks are tongue and groove, cut through the tongue using a chisel and hammer. Lift the board out. Measure the timber planks using a tape. Cut one of the tongues off to match a new tongue and groove piece or to match a new straight piece of softwood. Nail or screw in the new piece on the shed roof using a hammer or power screw driver. Make sure all screw or nail heads are flush with the surface of the wood. Measure out the length of your shed roof. Unroll a new sheet of felt. 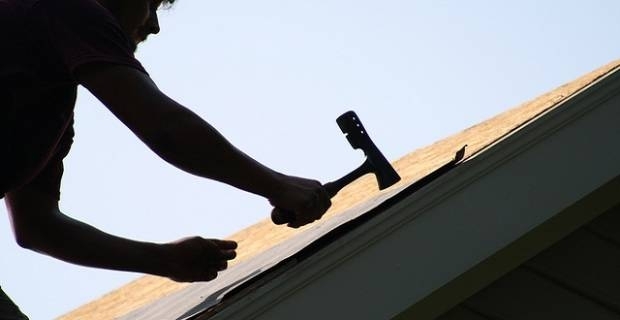 Cut pieces wide enough to cover the whole roof using a straight-edge or Stanley knife. Felt rolls are rarely wide enough to cover the entire roof without having to cut more than one piece. Leave about 5cm extra allowance at the edge of each felt piece you cut to allow joints to seal well. 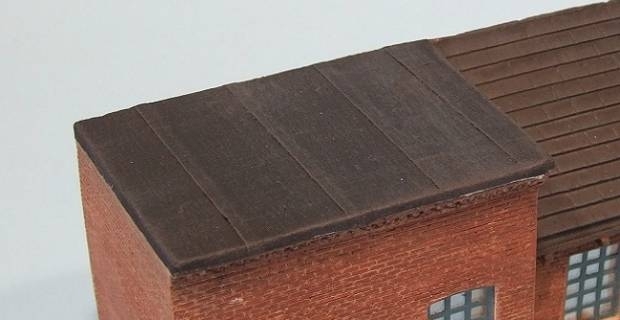 Smooth out the felt pieces flat onto the sides of the roof panels. Nail them in place with tacks or galvanised nails. Space nails at about 150mm from each other. Smooth another felt piece over the very top of the shed and nail it into place between the two roof panels. Fold any overhanging felt over and tack it down. Nail the edges onto the barge boards instead of nailing onto the face. Trim off any excess felt. Violà! You have successfully replaced your worn roofing felt shed. Congratulations. You felt roof garden shed is now as good as new.